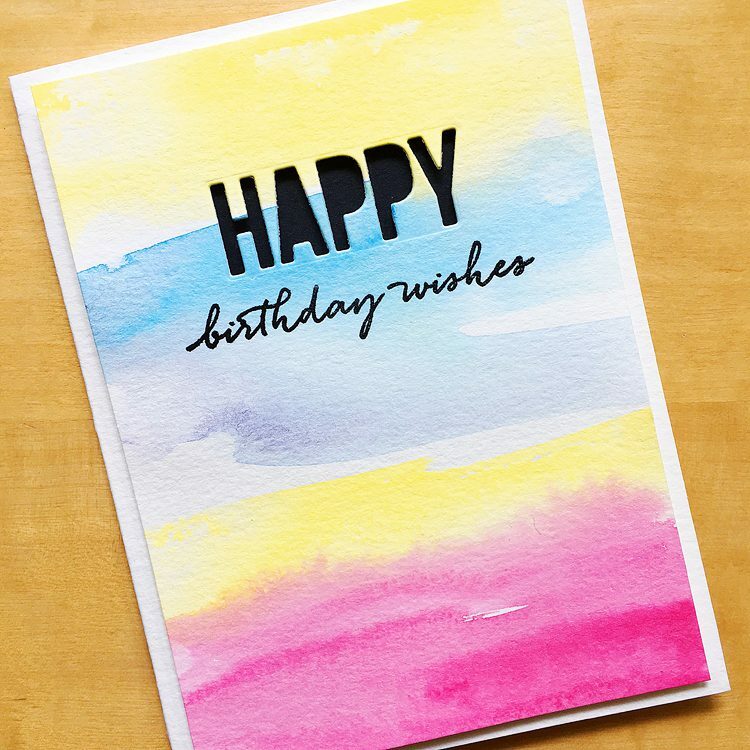 I needed some summer birthday cards, stat! What to do, what to do? 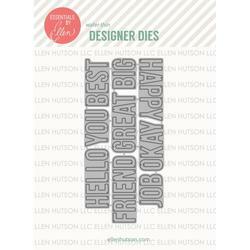 Essentials by Ellen Totally Random Sayings and Block Words to the rescue! 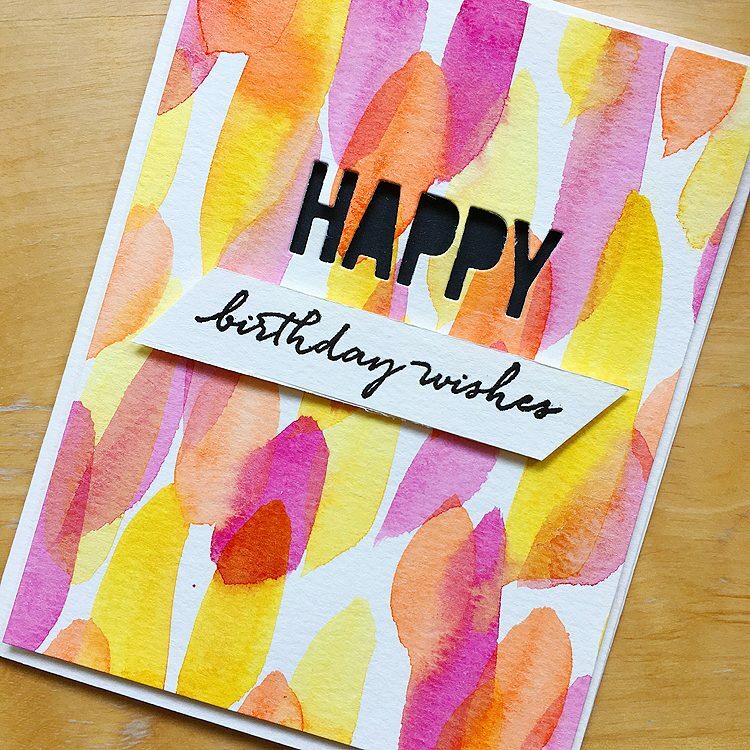 I just made some fast backgrounds and on watercolor paper, then once it was dry it die cut the “happy” out of the piece, stamped the “birthday wishes” and adhered it to a card front with foam tape for added dimension. Oh and! 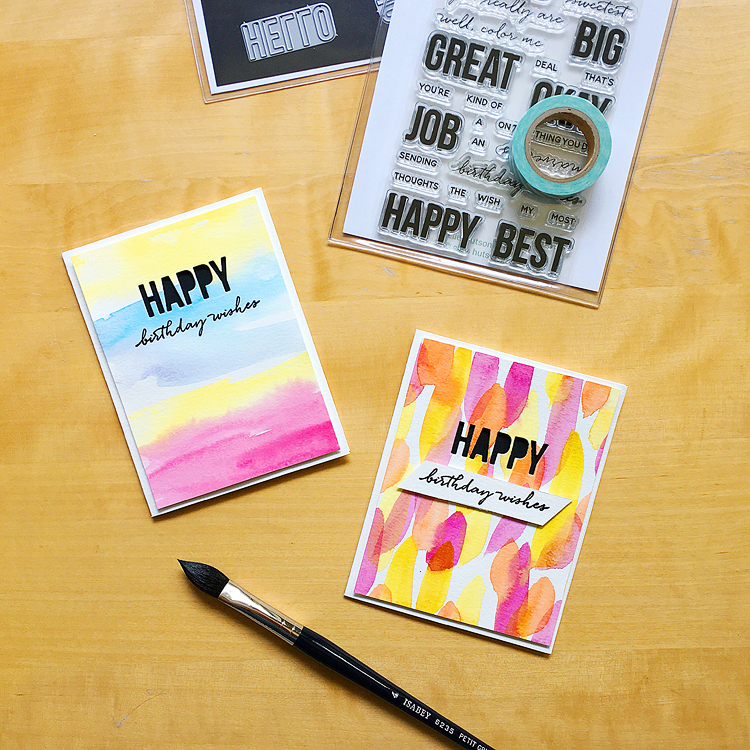 Almost forgot the most important bit: I added a strip of black cardstock on the card behind where the “happy” was so that it would really stand out. 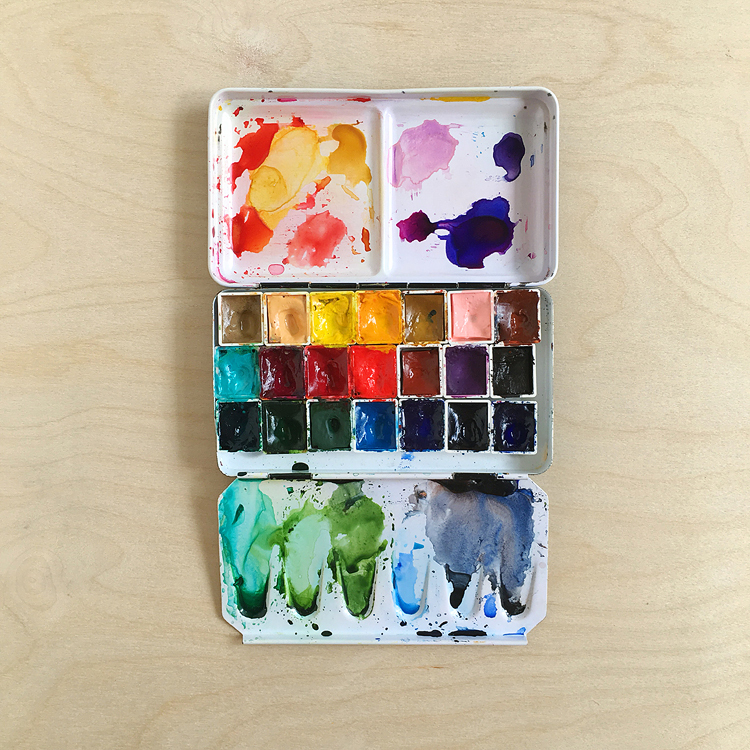 Next up was this little number — I just let the brush do all the work! It’s an Isabey 6235 mop brush and I can’t stop using it! Then I popped ’em in the mail and that was that! I must confess that kinda thought about adding some sequins or other embellishments and then I decided nope, just keeping them as-is. And there ya have it, two quick summer birthday cards! 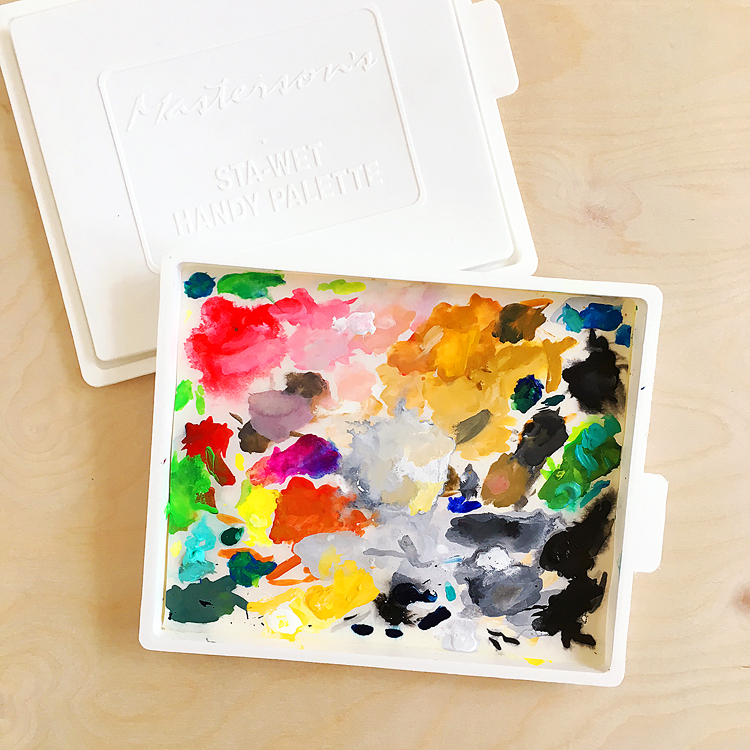 NEW Altenew Watercolor 36 Pan Set! and GIVEAWAYS! Love these simply designed cards. That brush is a keeper!